The Sabrina is an extremely compact carpet shampooer and spot cleaner. 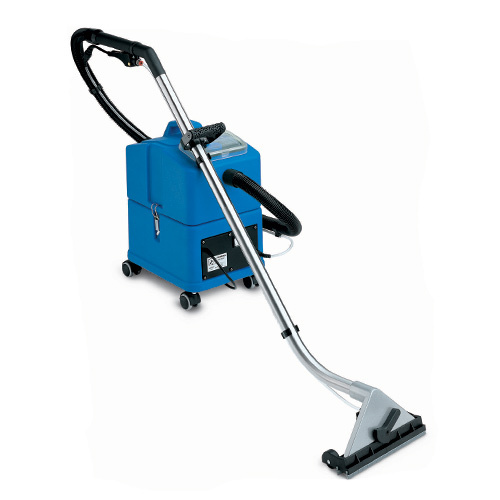 Designed to commercially clean carpet it is ideal for offices, homes, hospitality and catering facilities. The Sabrina is a true ‘carpet spotter,’ with a dry weight of only 12kgs it easily transported from site to site by both male and female operators. The highly compact nature of the Sabrina makes it easy for this professional shampoo extractor to be stored in very confined spaces. The Sabrina is one of Kerrick's most popular carpet and upholstery extractors.